Quite a few of you have asked about the line drawings that have been propped on my iPad/book stand for weeks now. Well, they are images by Michael Powell, stamps produced by DO Crafts. Actually the image you see here is not the one on the stand, but no matter. I am not a great one for colouring in. 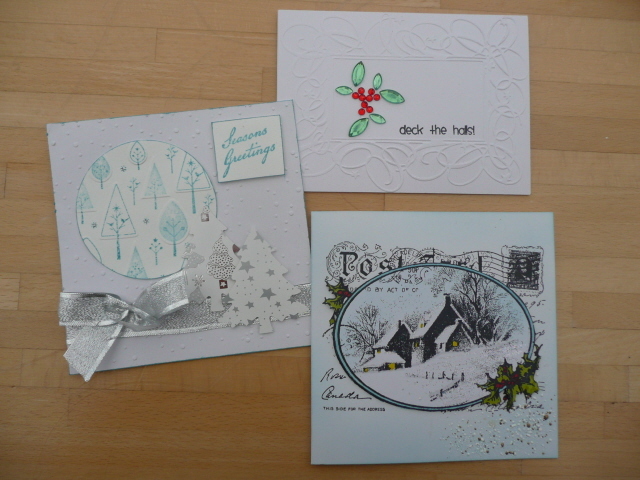 I love the stamping and the cutting and the collating of card making, but feel a bit slowed down and erm, inadequate when it comes to colouring. So investing in two of these fine detail outline stamps was a little crazy. But totally necessary; I really am drawn to them. They speak of faraway magical places and stories yet to be told. Ahem, aaanyway, despite the shortcomings in the photography, explain this for me will ya. I coloured the image with watercolour pencils and sloshed a wet brush around a bit to blend and make it look well, watercolour-ry. Left hand photo. Then I was seized with a need to so something with it that would make it look as if I'd done more than stamp and colour. I don't know why. So I coloured the entire image in Versamark ink and embossed it with clear powder. Right hand photo. Now, is it me, or has that enhanced the detail in one fell swoop? Kinda put the black outline image on top of the colour? How? I do not know. But I like it. The collating and turning it into a card is a whole other story...apart from a mount and the fact that it doesn't fit on anything but a portrait DL card and won't take an embellishment...argh. It may not be my colouring aversion that stops me using these delightful stamps after all! 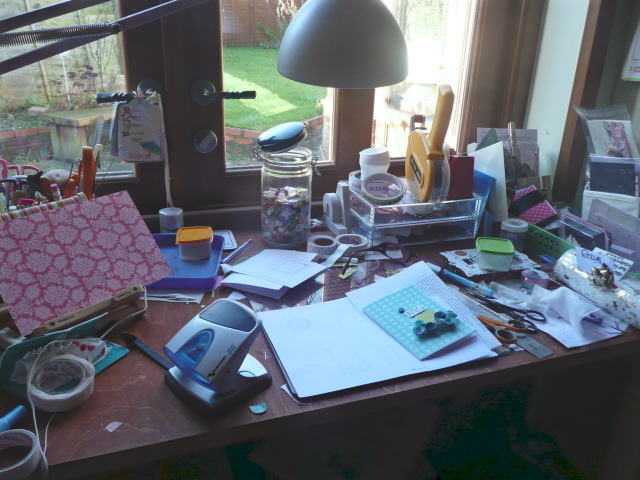 This is Tuesday afternoon's desk...I need the daylight and this morning I'm committed to different sort of desk work which really is not picture-worthy! I'm working on a card for a Grunge Style workshop - you can see my vast collection of Alcohol inks and the one applicator in my possession. Yep, call me minimal. I don't really get them though see. 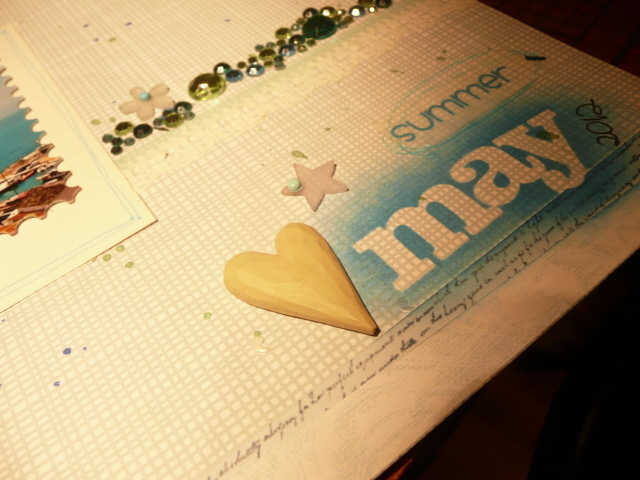 On my iPad deckchair and rather out of focus is a card that I've made from Emilie Chanel's article in Craft Stamper. It's a lovely article and card...but hmm, the step by step instructions aren't quite true to the photos...not a major thing, but a little bit frustrating, nonetheless. And that's not my excuse for copying badly, that happens anyway! You can see my button jar has had a sudden top up. Yep, ridiculously well priced vntage look pastel buttons from Shopkeeper Gal - would have been rude not to. And I've got some sewing planned, so I needed them, I'm sure. 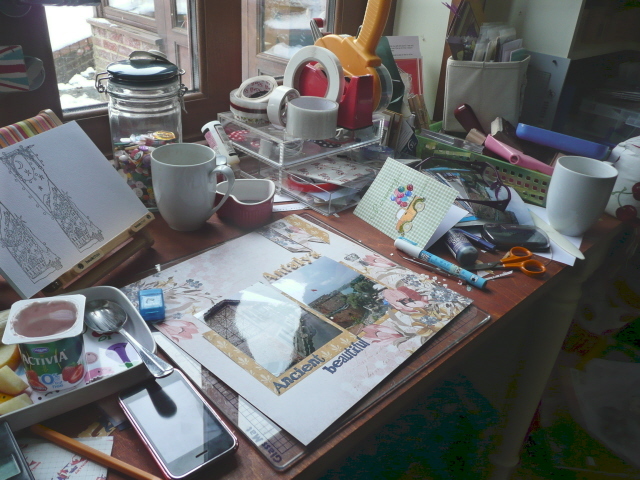 Share your work surface with us will ya - so much more interesting if you're involved. Put WOYWW in your post title, link here and please make reciprocal visits. Don't be stressing about visiting everyone on the list - we all know it's along list and time is at a premium. Please enjoy. I'm sharing this with Annie's Share A Smile feature, because I just can't resist! I know this limited edition has been in the shops and probably gone by now, but I've only just opened mine. 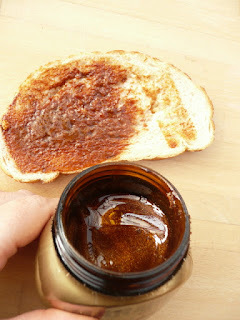 As the only Marmite eater in the house, it takes a while to get through a pot! I don't know if you can tell well enough but it really does have a lovely gold sheen to it....and I don't know what it is, but I think it's reminiscent of the lovely pearl finish we crafters achieve with Mica based products! 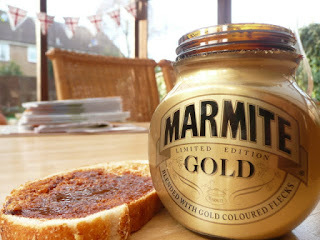 It's been ages since I had a new jar of Marmite so I don't know if this is a new 'recipe' or just the inclusion of the 'gold', but this Marmite is infinitely more spreadable too. And yeah, that's a thin slice of tiger bread...which can only add to my smile! Now that, I know is blatant advertising. (It's the name of Shopkeeper Gal's emporium). But it's also a state of mind and as much as I Iove it, people are going to ask me if I've actually got any other card stock soon! 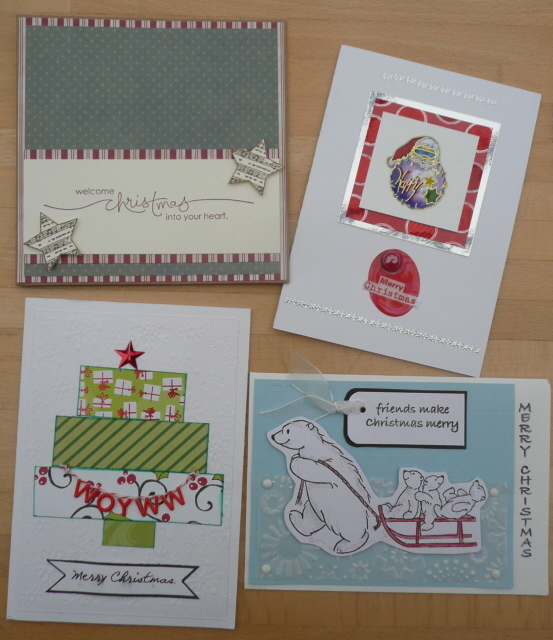 This week I've made a handful of cards - OK, seven. Four of them have Kraft included or are on Kraft pre-folds. This is one of two that will feature in the same workshop...and it's not a workshop built around the use of Kraft. Hmmm. And this is a detail of a LO that I've made twice. 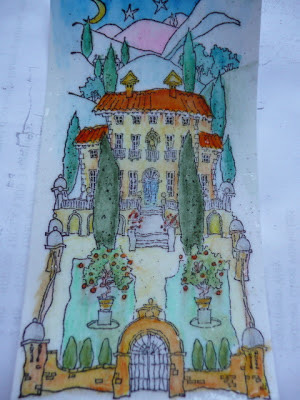 Yep, the first one was on a 12x12 piece of Kraft and I decided that as it's for another workshop, I should probably demonstrate my ability to use other papers....turned out to be harder than I thought! I think I'm turning into a folk. I know that's the collective, indeed, plural, but I have no idea of the singular. Or at least what it is that's happening to me. I've come over all homespun and gingham like. In my crafting you understand, the domestic duties and other working nonsense are still being superficially carried out in a normal four-out-of-ten type Suzy Homemaker graciousness. So what do you recommend, plough on and see if it's just a phase, or turn my back and try to move out of this comfort zone? Obviously, you realise that if it proves difficult or needs will power, I shall not be yielding to any suggestions. Well, quite a lot of you asked. So now I've finished dithering and such, here is the LO I was working on yesterday. There's a tag behind the photo on the left (which is why there's a bunch of ribbon sticking out of the top of it. 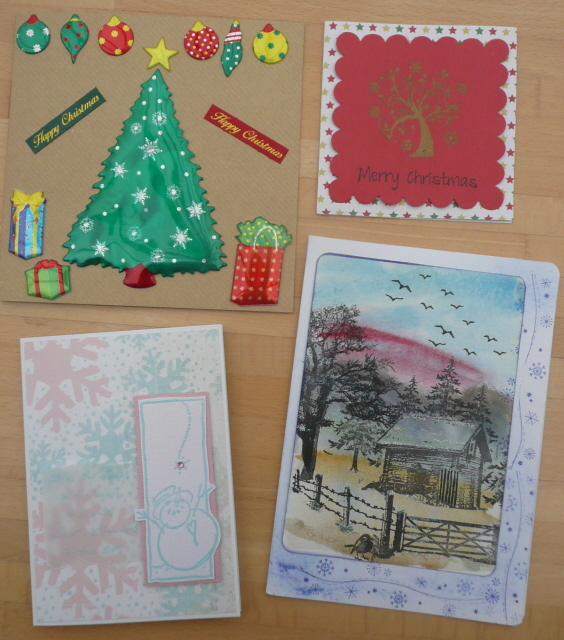 I gave the photo and extra 'topping' of the mat paper to prevent it being too damaged by the tag being over zealously returned. 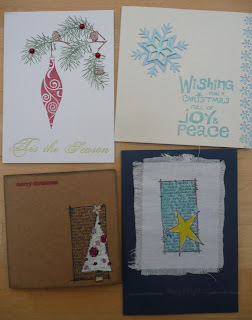 The main interest really is that this paper is from a new line by Kaiser Craft called 'Forget me Not' and it's really very nice. Indeed, I had to have the collection pack instead of the individual sheets. I suspect that I will replace the two sheets that this LO has taken too, I can feel the need welling up in me. 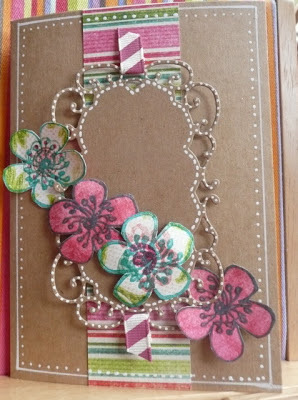 This LO is actually to illustrate the first scrapbook 'know how' session that I'm conducting at Kraft Crazy next month. My thinking is that it's a difficult thing to 'teach'.so I'm providing notes and a glossary, and a couple of different styles of LO for people to have a go at. When I first started scrapbooking, these large patterns and corner placements frightened me to death. Now I find them useful for a quick LO. And the second LO will be a much plainer affair with some splodges and inking occuring....nothing like a contrast when you try out new stuff! 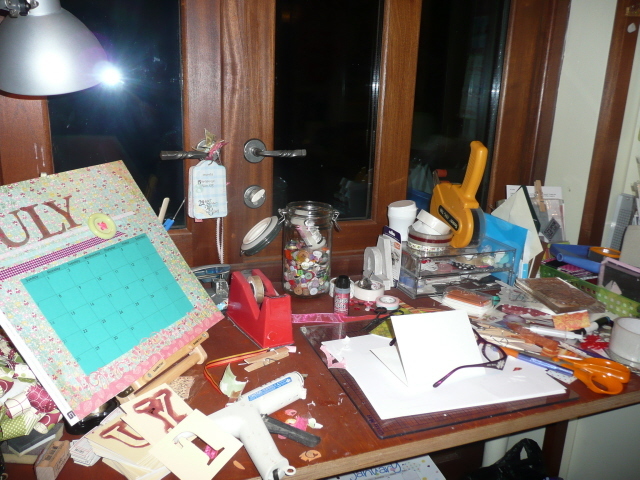 What do you think - in terms of a workshop - helpful or just hideously confusing? Don't be too honest, I might cry. Well now, aren't I getting the hang of stuff. Note at left of this blog there is now a heading marked 'Pages'. Right now it has one page explaining WOYWW. Soon it will have others which you can look at or not, as always, it's all about choice. Well, actually, it's my blog so it's all about me, but I like to think that you think that I think I'm selfless. As you know, I have no shame. Which is why I don't bother to tidy up before you visit. But even I am a little shocked that I'm letting you see this...two empty coffee cups and a snack tray. In my defence...this all occurred within Tuesday..the two mugs are because someone else made me a second coffee and I didn't think to say I already had a mug 'on the go'. For reals. 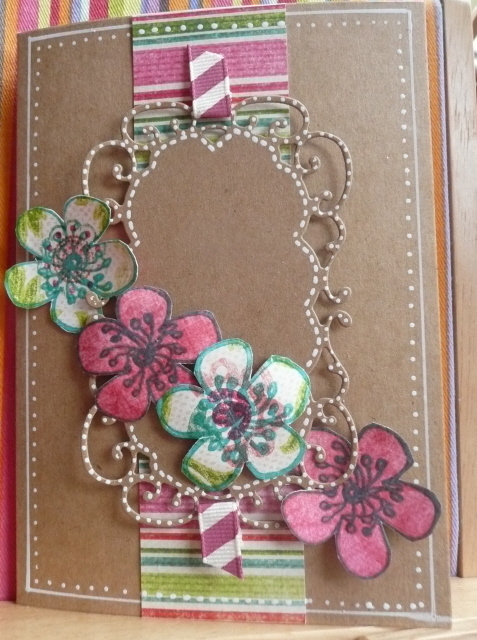 So I'm working on a Layout which will be part of a Scrapbooking session at Shopkeeper Gal's. The new workshop schedule is peppered with my name. Argh! The most interesting thing is I think, the little blue box on top of the Layout. It's waxed dental floss. I was about to use it to lift off the stuck down photo on the left of the page. A great tip from the Babymumma some years ago. One I'm delighted to say that I haven't needed until today. Argh again! So there we are. Show us yours then. Put WOYWW in your post title and link here. It's fun. The word verification isn't though - I readily admit that I'm receiving regular spam because I don't use WV, but for me it's preferable to manage and delete it than to miss the chance of a response from a visitor. This picture makes me smile. Because it means that I don't have to go anywhere or do anything in particular. Mr Dunnit does the snow driving in the big heavy van. I will and can drive in snow, but Mr D gets all cave-man and protective about it, so I revel in that instead. And that makes me smile too. Annie over at a Stitch in Time is asking for your smiles...take a pic and join in with her..smiling is good for you. If you were asked to come up with things that you know about me, apart from the wholesome and endearing descriptions, I bet that somewhere in your list would appear my predilection to list making. I can't help it, but it sure helps me. It may very well be my age. I make a list, mental or actual for loads of things. Shopping - a mental list - by aisle...lord help me if all the supermarkets change their floor plans on the same day! Chores - a mental list. Because when I don't do them, I don't need evidence of the lack of achievement in paper form, thank you. It's probably my age that makes me like that. Blah Blah. 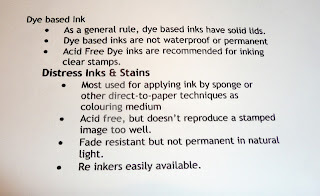 If you're a relatively new stamper and blinded by the differences between inks, these reference cards could be useful, huh! So that explains that. 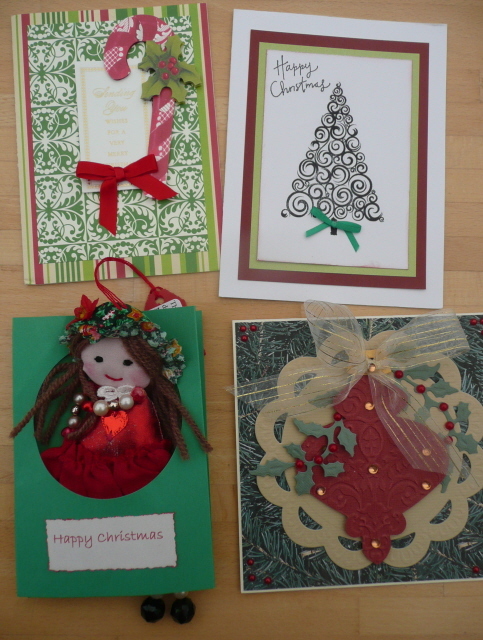 And then, there's the regular, card making workshops where I (supposedly) work far enough in advance to let the Shopkeeper Gal have samples for display and to hopefully, encourage bookings. Well, in this world of digi, it's easy to take a photo of the sample and make the kits up from that. Oh No it isn't! 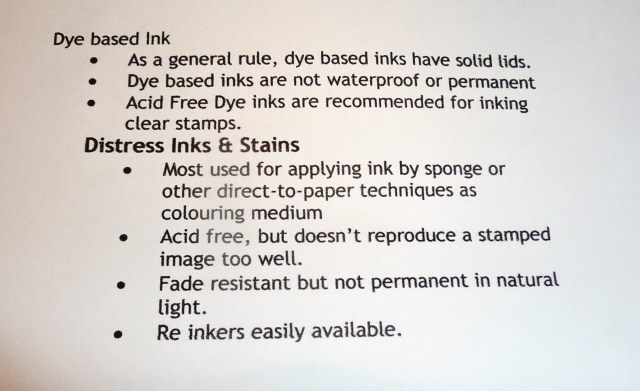 I've tried that and I get all sorts of things wrong, stock weight, ink colour, size of die required..you name it. And sometimes, I forget to photograph them at all. That IS because of my age. So now, when I've made a card, I make a list of ingredients. And take the photo too. And as I pack up the kits, so I tick off the list. Amazing. Great stuff. And yep - I still prefer pen and paper for all this, despite having all the gadgets on hand. For lists and instructions, I only use the computer if it has to be made public in some way, after all my handwriting could be considered illegible. It's my age. Have a lovely and safe weekend...there are some extremes of temperatures out there. shocking bad photography, possibly proving the sentiment.. 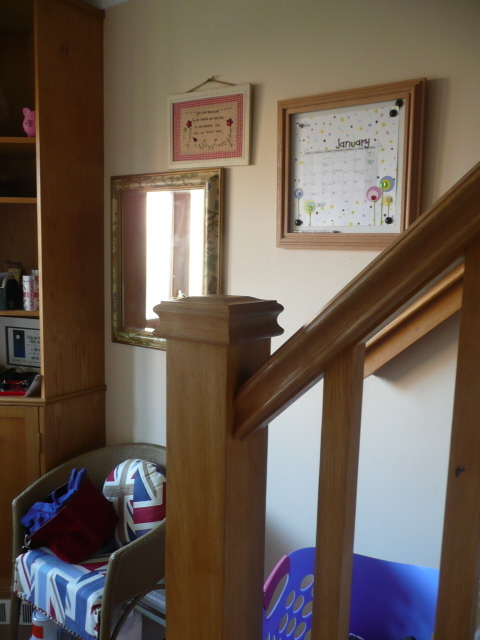 The walls of my workroom are lovingly, haphazardly and beautifully decorated with the odd postcard that's caught my eye, handmade cards that I've been sent and some fabulous artworks from WOYWWers that mark anniversaries and generally make me feel hugely important and good about myself. And because I really like them. 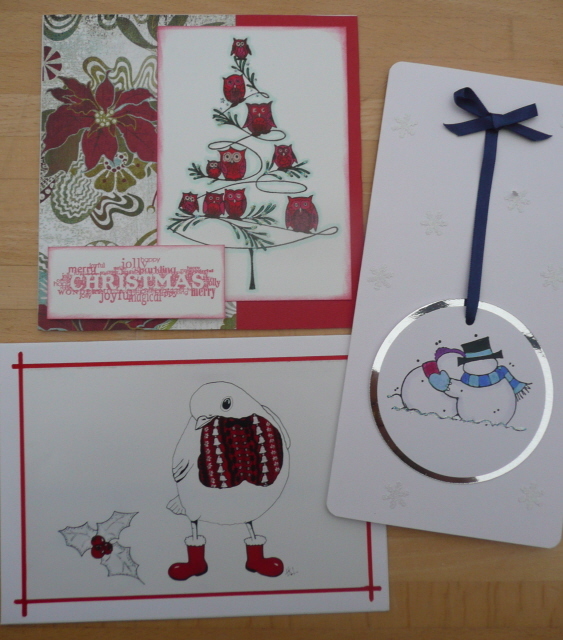 As you can discover very easily by scrolling back a little, most recently I've been admiring my received handmade Christmas cards. You may not want to read on if you're a bit squeamish. Once the cards have been displayed and thoroughly enjoyed by many, I keep them in a pile in my workroom and leaf through them, often. To make me smile, to look for inspiration, to admire a particular image, to examine and try to identify a technique. They are a source of great pleasure to me for some time after their display date. And then, when they aren't...I recycle them. As a genuine and prime example of my birth sign, (Cancer) I have enough guilt to fill the seven seas. This means too that I have enough sentiment to fill the heavens. But apart from that, I'm a normal English housewife who lives in a three bed semi somewhere relatively rural. We do not have room. And I have learned this the long and the hard way. After the battle of putting stuff in boxes and 'saving' the boxes into the attic, we then find we need to convert the attic to living space. The boxes have to go and I simply cannot find a logical case for keeping lots of them. For I have not opened them, some for years, since they were consigned to be 'saved'. Ridiculous. I do not have the ability to sort the 'best' from the others and just keep the ones that 'mean something to me'; they all mean something to me. So I give myself (and poor Mr Dunnit) a break and just enjoy them for as long as they are enjoyable. 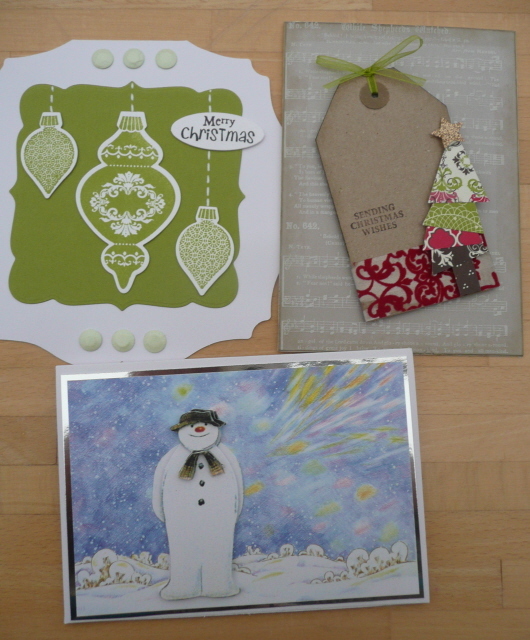 This is the spirit with which I make cards. I once had a stamp by Judikins that was to be stamped on the card back and read something along the lines of 'this is a handmade card and you better appreciate all the work that I did to make it and keep it forever'. It was far wittier than that. But I didn't use it often, because it's like passing on the guilt! 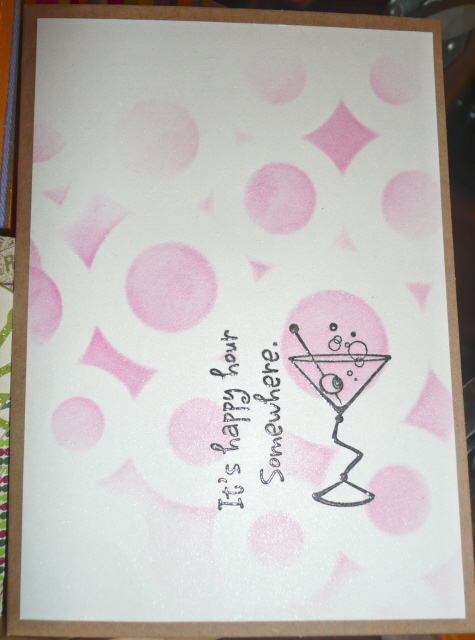 See, when I make a card for someone, all I put into it is equalled by the pleasure I get from doing it. Assuming the recipient enjoys the attempted greeting or felicitation, that's good enough. What they do with my erm 'art' after its display date is not only of no concern to me, but frankly, of no interest. Because I've had my fun with it...I'm moving on to the next one. Now I know that this post will probably come as close to a confession as I'm ever likely to make (in public). But even if you think I'm a heretic, you also kind of get it, don't you? This is the best angle, really. otherwise you get me in the mirror. And you don't want to see that. Because I sleep with a chap who can make these beauties, I have a stock of them; and over the course of a handful of years, I've give a couple away as gifts. And both were successful gifts. So much so in fact, that both recipients ask me to supply new calendars - very flattering. And I have no problem with that in principal. It's in time that seems to cause me the problem. As always! 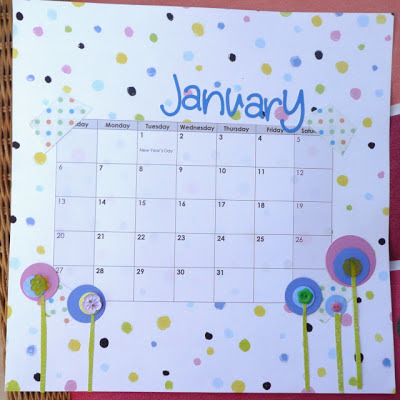 So now you see it..now you understand why they are 12 x 12 which also may help you understand why a whole set isn't the cheapest way to bestow a calendar....bear in mind that I can only work with papers and embellies that I'd like for myself (of course! )...it's likely to be a £1 per sheet as a starter really, huh! 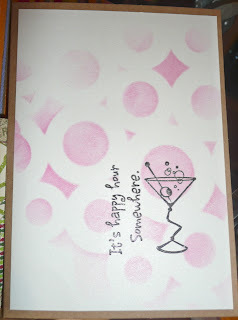 Nevertheless, I'm happy that it makes others happy and better yet, this year's pages really are very nearly finished. So hang on Sissy, you might get to use some of January's page! Actually, my little Sis doesn't read here, so this photo isn't a 'spoiler'! My sweet Mama sighed 'well Christmas just came and went' when we were talking about the New Year. 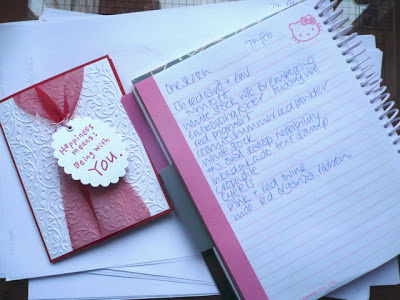 And I was feeling the same about New Year yesterday when I finally gathered the last of the Christmas stuff to put away...Twelfth Night includes getting a new frock on for the blog too - did you even notice?! So to sweeten the transition into the reality of the New Year phrase wearing a bit thin and the working month really getting underway in a very earnest and resigned sort of way, I'd like to share the happiest mail I've received since the beginning of December. 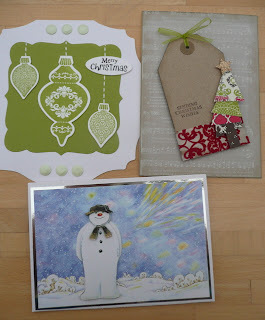 I am flummoxed by the generosity and time taken to include me in Christmas card making lists and postings. Now don't tell me that you aren't cheered by the sight of such lovely artistry. 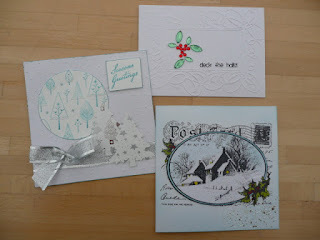 Thank you, they have glittered and twinkled in my line of vision for the better part of a lovely month. Now, there's the forward thinking stuff to be done. Do you fancy a date for your diary? Do you live in the UK? (Although of course, this is not to prevent you, as proved last time....). Fancy meeting some WOYWWers this year? Saturday, 1st June. WOYWW Crop. Loads more...but you can't say we aren't giving you notice. And shutting up one or two of you really really awful-at-droppping-hints-people! 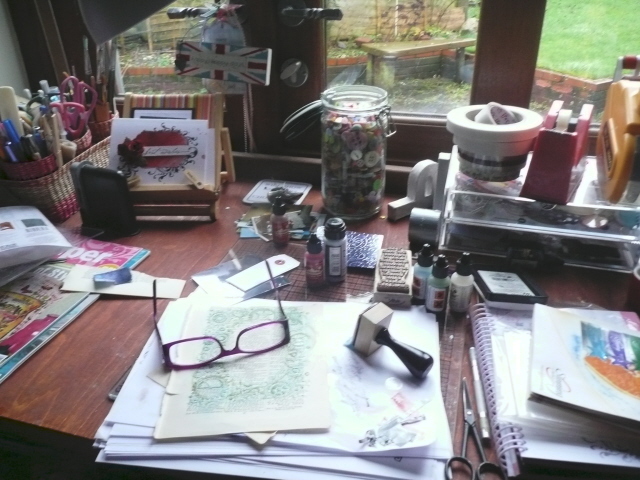 I have spent most of the daylight hours in my workroom today. Getting ready for the crop tomorrow. It means that during the course of the crop I may very well succeed in finishing all three sets of calendar pages that I've finally pulled my finger out and made ready. In between the gossiping, eating and laughing of course. I reported this to a friend on Facebook this afternoon and she seemed impressed by my organisation or preparation dedication. 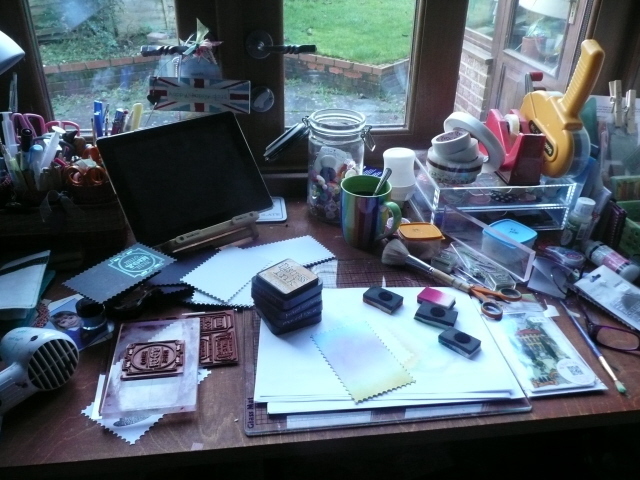 I thought about this for a minute and realised that actually, most of the day has just been self indulgent; papers and stash all over the floor, choosing, matching, printing, deciding, settling and finally packing. Apart from my daily chores and a bit of work related phone calling, i have done nothing else. Means that the crop lasts two days really, huh? Now, I'm not feeling overly guilty about it, I must admit. Maybe I should. I can do guilt, I'm certainly not swanning about free of that particular burden. Here's the thing....the guilt will come next week...when I haven't unpacked. Because I've been busy. Because I haven't the motivation. Because I haven't quite got around to needing anything in that tote (wait - is that why i have so many pairs of scissors? )....or, my top argument for consideration your honour...I can't be bothered. Theres no fun in putting stuff away. This is not shocking news about me. If you contribute to WOYWW, you'll have seen photographic evidence of it on a weekly basis for well, over three years. It was an indulgence, it felt like a day off and I really enjoyed it. Well, apart from lifting the tote into the car; good grief that is a test of my prowess as an eastern bloc weight lifter I can tell you. Anyway, if there's any point to any of this, its to remind you that after all the putting away of decorations and wrappings and getting back into gear with laundry, school plans, resolutions to eat better, become fitter, and all of the normal routine as well, it's ok, indeed necessary, to indulge yourself a little. It doesn't need money or other people, it's harder than that. Carve out some time for yourself. If it makes you happy, it will make everything else you do easier. You'll see what I mean when I brag about those finished calendars. Happy New Year, and Morning all. And I know it's morning, because even though this is a scheduled post (I'm off early to tackle other things).....it's still morning. I went to bed on Tuesday night and woke up with a start after midnight....because I'd forgotten to set this post up. Am I the only one still thinks it's Sunday? Yep, schlep downstairs, fire up PC (because blogging from the iPad is a monumental pain in my derriere), load up the photos and compose. In the middle of the night. No, it's not that I'm obsessed. Much! Not exactly a 'start as you mean to go on' pose for the New year, right? No, I'm too old to make sweeping resolutions and comitments; I know myself too well! 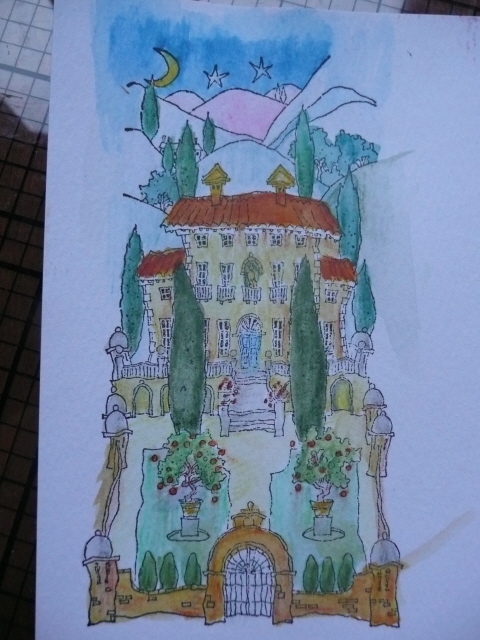 At least there's evidence of some card making...I was asked to create a sketch and a sample and some instructions to contribute to a charity's website....I will of course blow that particular trumpet at some stage - meanwhile, I have at least managed to get it done. Christmas miracle I think. No idea why the mammoth hole punch is on my desk, but as it's been holiday week, I'm guessing it has something to do with that panic that arises with the arrival of visitors - you know the one - where there's no surface space left upon which to stand so much as a mug of tea. Usually because of un-put-away Christmas presents. So you shift stuff to another, temporary surface. Doing a lot of that. Figure at some stage there'll be hysteria and clearing. You won't escape the fallout, obviously. 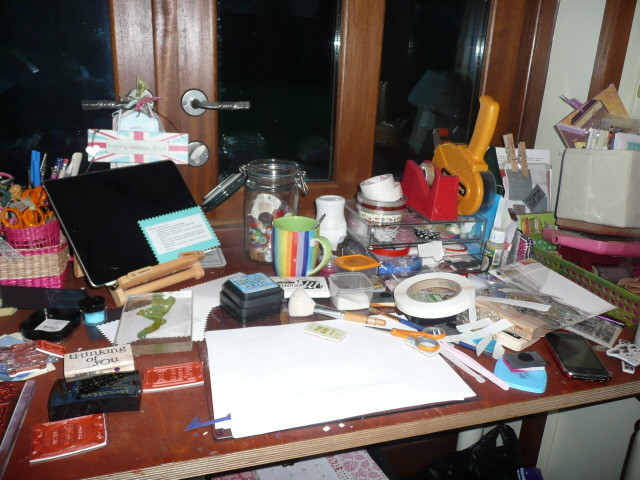 Meanwhile, please show us how your desks have fared over the Season of desk neglect and mojo restoration. Leave a link here so we can come visit the post you put on your blog - please factor WOYWW into the title, and please, if you can, turn off the word verification, it's very difficult and time consuming. Frankly, more time consuming than deleting spam!